Featuring the Most Popular Original Bubble Rollers™. Roll on water or land! Rent today! Rent mobile laser tag. Perfectly safe party rental. Great for adult and kid parties. 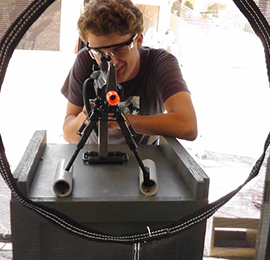 Rent state-of-the-art Airsoft laser tag guns and a fully-mobile inflatable shooting arena. 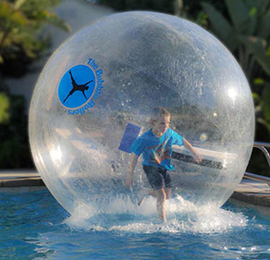 Kids love to effortlessly propel themselves around on the water. Rent paddle roller boats today. 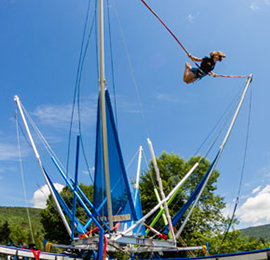 Our trampoline bungee jump rental is here! Trampolines are great for adult and kids parties. 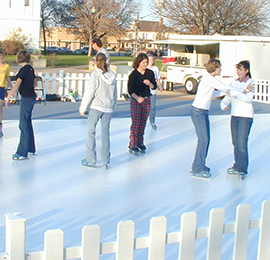 Enjoy an Ice Party any time of year with our mobile ice skating rink rental. Rent today! Time for a bubble party! 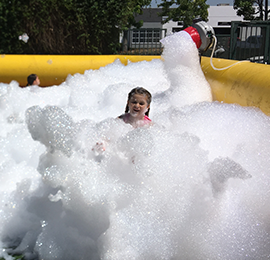 Rent foam parties for outdoor events. Safe for adults and children. Bring the action! 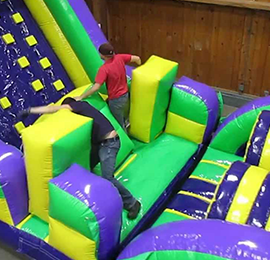 Rent inflatable jumpers or even an obstacle course. Kid and adult friendly. 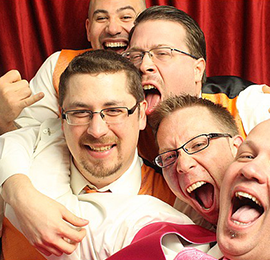 Capture memories at your party ordering a photo booth rental! Rent photo booth today. 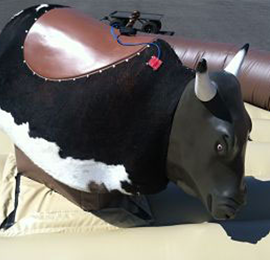 Offering mechanical bull rides, sumo suit rentals, human foosball, zipline ride rentals. Rent tables, chairs, popcorn, hot dog, bubble, cotton candy, snow cone machines, and more. 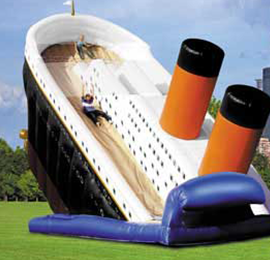 Slip and slide into fun on one of our many inflatable slide varieties. Rent water slide jumpers. Excitement! 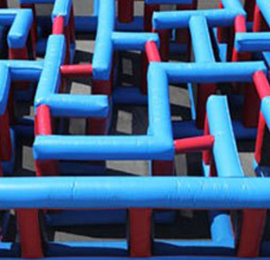 Rent rock climbing wall, inflatable maze, velcro wall, race track. 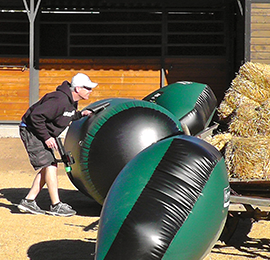 Home of the original Water Bubble Rollers™ and Land Bubble Rollers™, Emerald Events offers the safest and most wholesome family fun for any event. 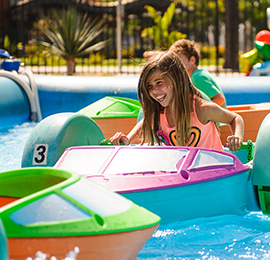 Impress every audience with the most thrilling entertainment and attractions available in all of California. 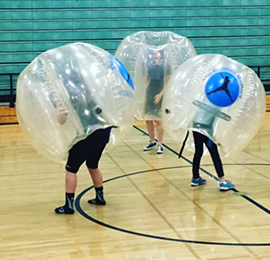 We offer a wide array of attractions, including Mobile Laser Tag, Bungee Jumping, Obstacle Courses, Foam Parties, Winter and Ice Skating parties, Photo Booths, Paddle Roller Boats, of course our exclusive Water and Land Bubble Rollers™ and so much more. 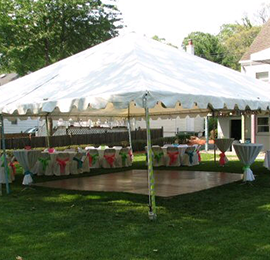 Navigate through our site, view our event photos and videos, then call us to book us today! Took my kids with me to Irvine Spectrum location on 12/26 – what a hit! They loved this attraction and are asking to return with their friends. Friendly staff – great with the kids. Definitely recommend this attraction – spoke with staff member and found out that they do private parties – know what my son will be having at his next birthday party! This was a great unique birthday party for my 10 year old daughter. She and her friends had a great time in our pool with the Bubble Rollers! Even one of the moms got in to try it out. Everyone had so much fun. The staff was very helpful with the kids. Thanks! We hired Brian from Bubble Rollers / Ventura office for our daughters party yesterday. WOW! 100% awesome time, and they were very professional and great with the kids. I highly recommend them to anyone looking for something cool and interesting for a party or event. The girls had a blast. Brian was amazing, very kind and courteous with the kids (and the adults that joined in)from the beginning to the end. A+++++ i give them. Thanks guys! We hired the Bubble Rollers for my sons 10th birthday. There were kids of all ages and all of them had a really fabulous time. The staff were courteous and friendly and great at helping the smaller kids. I would definitely recommend this event for a all parties including adults. We all had a blast. Wow,what a great party. We hired The Bubble Rollers for our daughters 8th birthday and she has declared it the BEST (think excited 8 year old high pitched voice!) party ever ! The staff were great and really good to the kids who all had a really great time. I have to say having been to every Chuckie Cheese and Pump It Up place in the OC you can imagine this idea was a really great novelty for everyone. We will definitely be hiring them again! Had a GREAT time with the OC Bubble Rollers at the OC Fair! My kids loved it and can’t wait to try this again. All of the staff were very friendly, and professional. What an awesome concept, looking forward to using your services at an upcoming birthday party!